Here is the watch that defines "classic", in terms of pairing of the perpetual calendar and chronograph complications. Every detail of the 3970 is perfect. 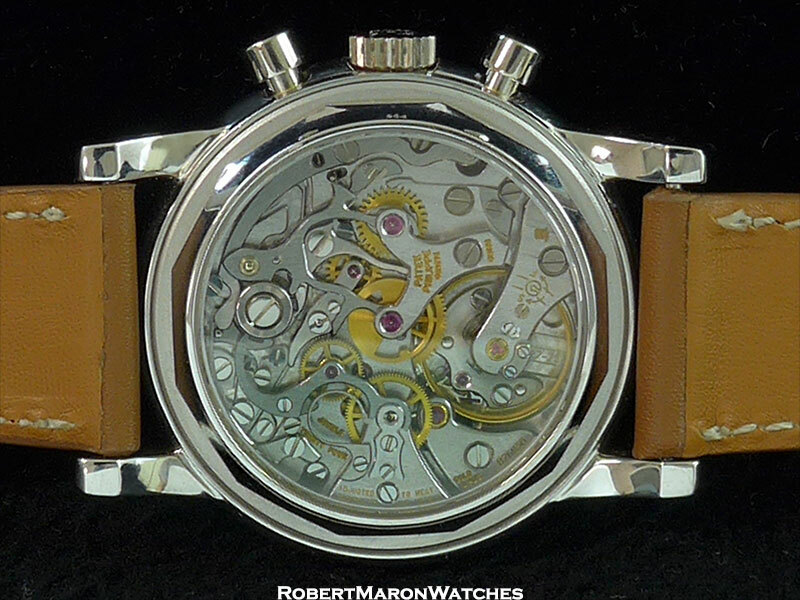 From the design, workmanship, production and finishing, and the overall aesthetic of the watch - it's just perfect. 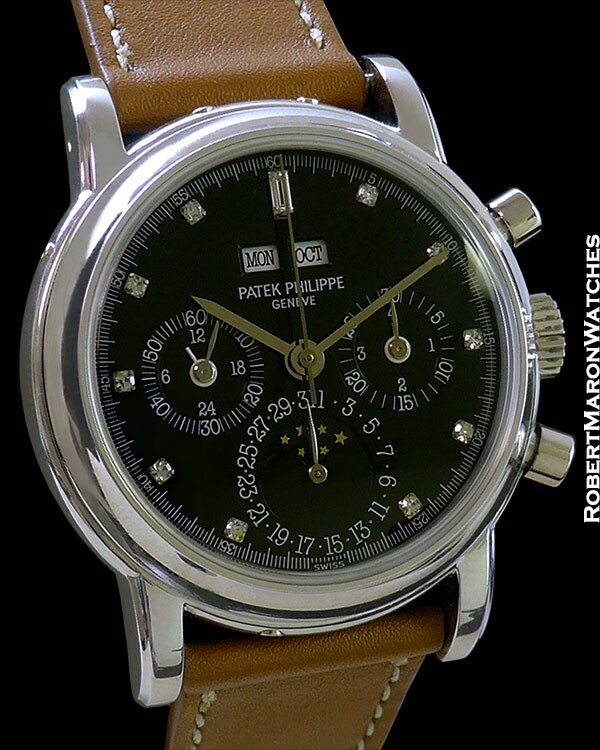 Patek has made dressier or sportier interpretations of the perpetual calendar chronograph, but in my opinion, the model 3970 and model 2499 are the only two models that “nail it”. 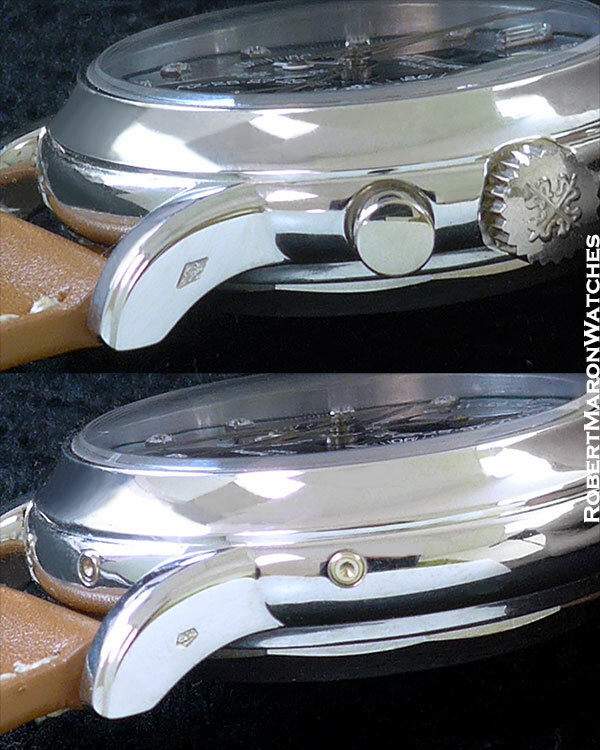 Unpolished platinum case with dimensions of 36mm diameter by 13mm thick. Sapphire front and display back crystals. Stepped lugs in crisp sharp condition. Pump style round chronograph pushers. Oversized winding crown. 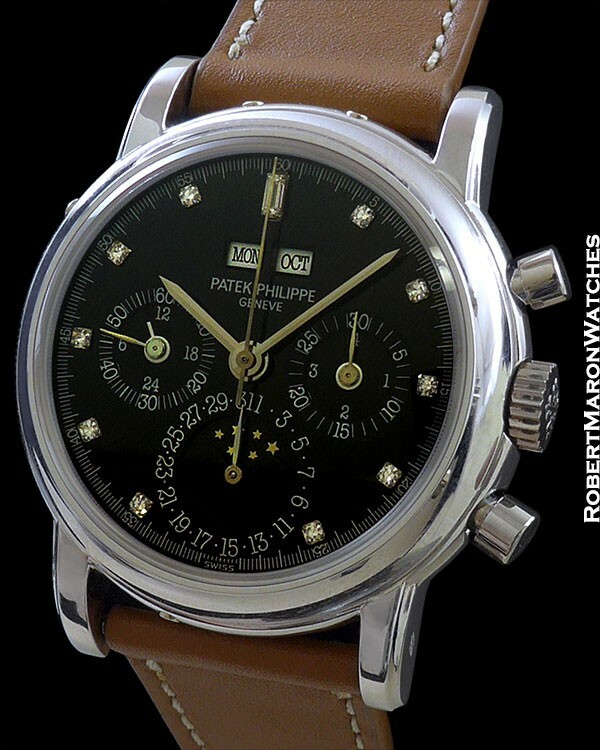 Great looking black dial with diamond hour markers and baton hands. The perpetual calendar day and month are displayed in apertures below 12 o'clock; the 3 o'clock subdial displays 30 minute chronograph totalizer and leap year indicator; the 6 o'clock subdial displays the date and moonphase; 9 o'clock indicator displays constant seconds and 24 hour time. 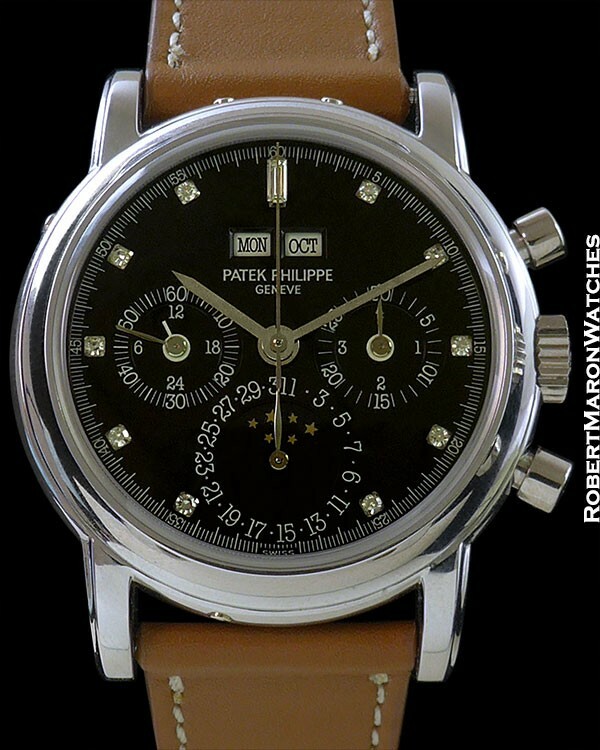 Beating inside is the outstanding manual winding Patek Philippe Caliber CH 27 70 Q with the Geneva Seal proudly stamped on its balance bridge. Technical details: 24 jewels, 353 individual parts; 60 hour maximum power reserve, Gyromax balance beating at 18,000 beats per hour. Movement provides day, date, month, moonphase, leap year, 24 hour indication and chronograph, in addition to the normal 12 hour time. Watch is on unworn custom leather strap, never polished, and a winner in every sense.